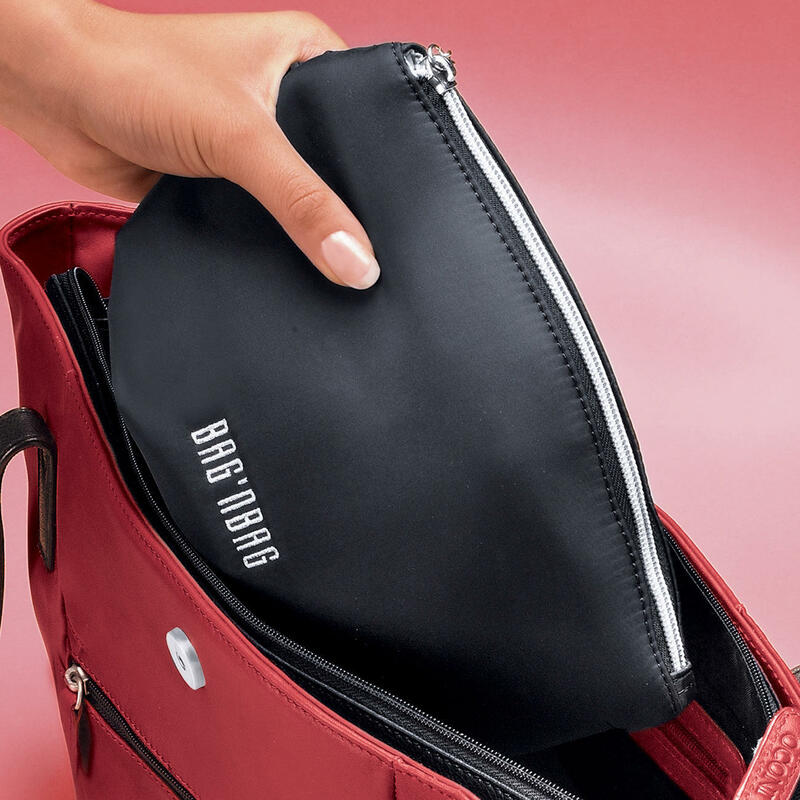 Change handbags – without unpacking. Mobile phone, purse, papers and pillbox, keys, mirror, make-up, stationery... everything transferred in one go, without forgetting anything. 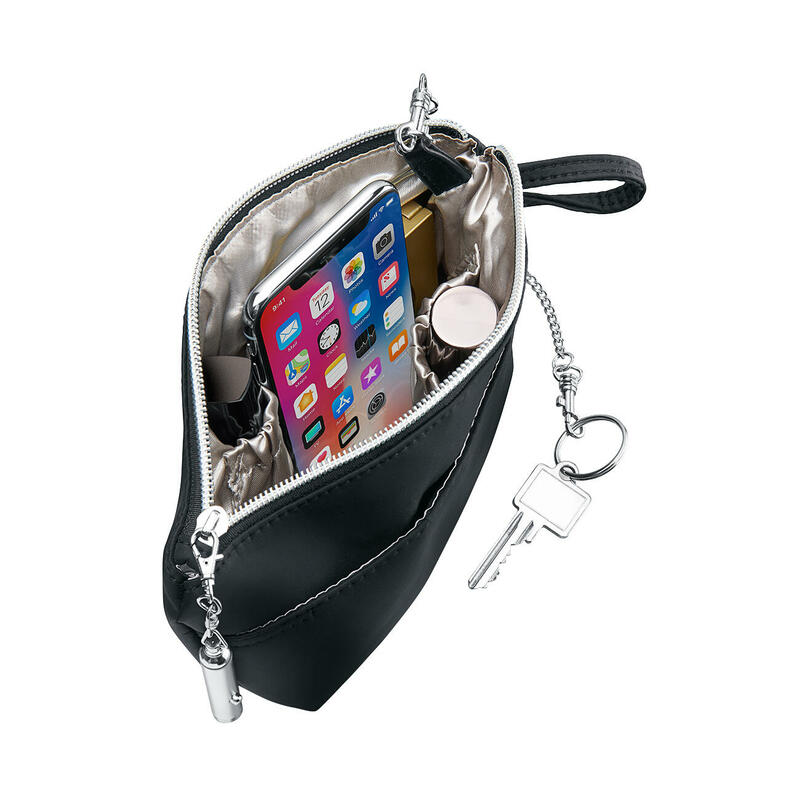 Your belongings are organised and easy to find in one large compartment and 4 pockets. With a key chain, wrist loop and LED light on the zip. Made from strong black 70-denier nylon fabric with Bag’nBag embroidery and silver-grey lining. Machine washable up to 30°C. In 2 sizes to fit virtually any style and size of handbag: 26 x 18 x 5cm (10 1/4"x 7" x 2") and 23.5 x 14 x 5cm (9 1/4" x 5 1/2" x 2") (L x H x D), weighing 120g (4.2 oz) and 110g (3.8 oz) respectively. By Bodenschatz, a specialist with a tradition spanning nearly 90 years.